The username of your MonsterInsights account is the email address you registered with it. If you forgot the password, just click on the Lost Password link below the Log In button. 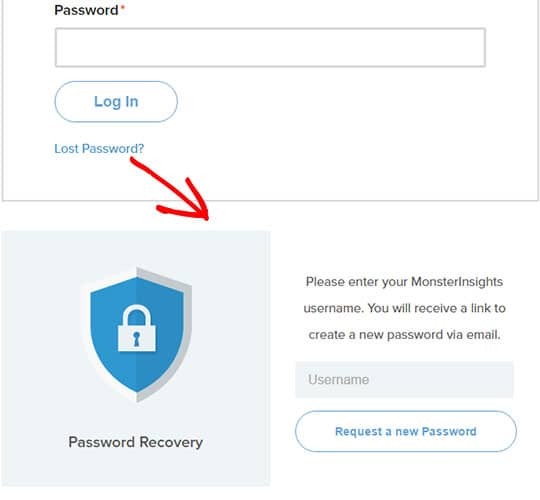 You’ll see the Password Recovery option where you can enter the MonsterInsights username/email to request a new password. Still stuck? How can we help?